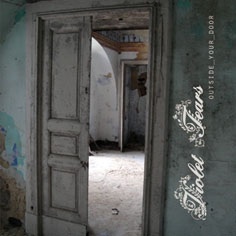 Italian Import – Outside Your Door is the fourth album of Violet Tears: a sonorous run through the rooms of the time, an homage to the lost affections and the innocence lost. Nine unrealised tracks that draw origin in the undergrounds of the conscience… Dark and cadenced rhythmics emerge to the listening among nebulous settings of keyboard, lacerated by sharp embroideries of guitar, composing a suggestive plant on which the persuasive heavenly female voice of Carmen and the vibrating male voice of Claudio are hacked. Home will be anywhere we’ll admit the uncontrollable lack of harmony of life.